Restaurant business is driven by passion and determination more than anything else. A thing often heard is that the restaurant business is driven by passion and determination more than anything else. It’s true. An industry which has the highest attrition rate and is totally dependent on the whims and fancies of its customers certainly needs people with madness in their blood to do it the right way. 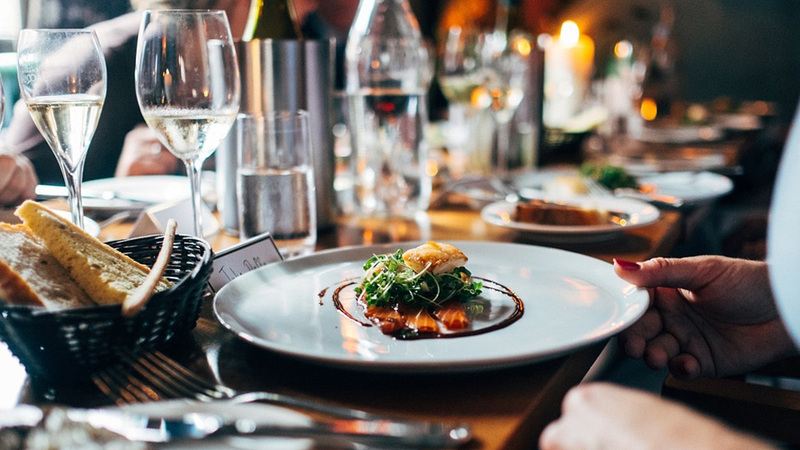 Quality food, right service, value-for-money pricing and an urge to keep pace with the trends are some of the factors that can make you successful. Interestingly, in terms of eating out, India is still 1/10th the consumption prevailing in the US and the UK. Moreover, the Indian restaurant industry often goes through rough patches and it’s only the right business model that can help make it sustainable. To build a brand outside its dimension and geography one needs a partner to rely on. “In any country, including the US, the UK and Russia, to name a few, a major percentage of the employment comes from the restaurant business. We have around 300+ partners globally looking after our restaurants,” says M Mahadevan, Chairman, Oriental Cuisines, a company that has in its fold 400 restaurants in over 16 countries, including the likes of Saravana Bhawan, Kailash Parbat and Anjappar that serve traditional and comfort food in countries like Stockholm, Singapore and New York, among others. Ironically, the food business is not just about eating. In today’s times when millennials are dictating and driving new trends, what also matters is the ‘connect’ a customer feels with a restaurant. Ambience matters as much as the food and successful restaurant owners know that the ‘package’ must appeal to a wide variety of customers. “You need to have adaptive models with quality as the main essence in a restaurant business,” points Manu Chandra, Chef Partner, Olive Bar & Kitchen. Innovation is no longer the purview of the elite and forward thinkers. If you are in the restaurant business you need to be innovative at all times in order to be ahead of your competition. With people eating out almost 4-5 times a week – which is double than the earlier trend of eating out only during the weekends – there is a demand for innovation and newness in the dining scenario. In the newer formats, the recipes have to be really experiential. And equally important is the quantity as against the cost. It is necessary that a customer should not feel cheated. Earlier, hotels used to serve 7-8 portions in their a-la-carte menu but today the portion size has reduced to 3-4 or maybe less. “You will find in some restaurants that for four people at a table, the portion size is just enough only for three. This leads to an odd situation. Restaurateurs need to take a serious look at how they design their menu and cost. It is true that most people eat less due to health compulsions or the need to remain fit but that does not mean the food should be insufficient,” says Reynold Fernandes, CEO, Oriental Cuisines. There is no point in innovation if you can’t manage consistency. There will be no balance. Innovation will always raise the game. You have moved to the next level and if you can’t be consistent don’t do it. “Change is very difficult to bring around but it has to be done to remain in the game. The sooner you get into it the better will be the benefits and that that’s where you make an impact,” shares Sumant Pai, Head of Sales, Yash Papers. When you talk about the bigger pie of the market, quality is not the main challenge at some of the top restaurants in the country. The problem still lies with the service, skilled manpower and quantity. Chefs these days are working hard to stick to the best quality food and presentation. “The challenge is still on the service side. I don’t think the restaurant staff is sensitized enough to give the customer a good experience. And the ones who are doing well have ensured that their staff is well-trained and believes that the customer is god and must be offered the best in not only food but also service,” says Sahil Jain, Co-Founder, Dine Out. In last three years funding scenario has got tough for the businesses. The investors have stopped being a guardian investor who has signed the first check of the business. The whole game is about your revenue and the top line and how you are able to sustain it for a longer period and it depends on three factors- your customers, the volumes and the ticket size. Nightlife scenario in India has changed over the last three years. There is lots of innovation happening around different concepts. “Pubs and bars and restaurants have actually the capacity of increasing the commercial value of a property,” shares Nirupa Shankar, Director, High Ultra Lounge. So, if you look at any of the large cosmopolitan city you will find that the lounge, the clubs are at the top of really a tall building which actually bring lots of brand visibility to the building itself.